It’s never too late for the kitchen of your dreams! A Sewell, NJ family loved everything about their home – except for their kitchen. There was only one word we could think of to describe it: outdated. 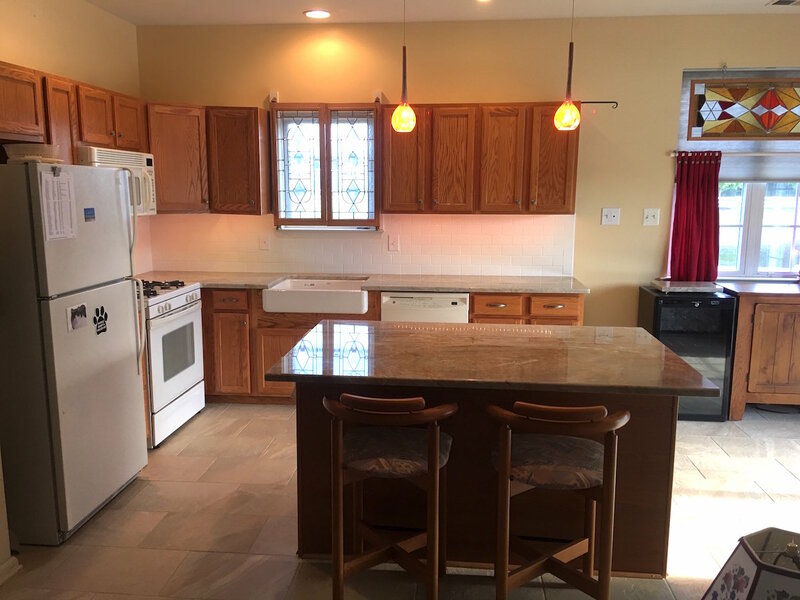 With laminate countertops, an unsightly fluorescent light fixture, and unattractive tile flooring, it’s no wonder they decided to change things up a bit. JR Carpentry & Tile partnered with Angelo’s Marble & Granite, and together we gave this kitchen the works! We installed a gorgeous new tile floor and backsplash to “set the scene” for what was to come. The 12×24 tile flooring drastically changed the look of the space, and immediately gave the entire kitchen a completely different feel. With the new floors and tile backsplash installed, it was time for the Angelo’s team to work their magic! 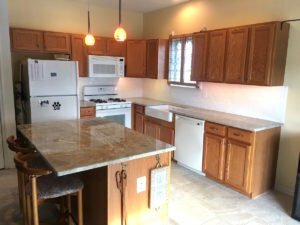 At the end of the day, the homeowners had a brand new sink, light fixtures, and gorgeous quartzite countertops to match the tile. The homeowners were thrilled to finally have the kitchen of their dreams, and we’re thrilled that they trusted the JR Carpentry & Tile team to give it to them! Click here for your free quote on kitchen tile installation by JR Carpentry & Tile today.